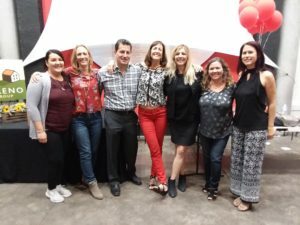 Moving the annual “A Taste of Santa Cruz” to October this year provided guests with more room to enjoy food, wine, networking and shopping at the auction. 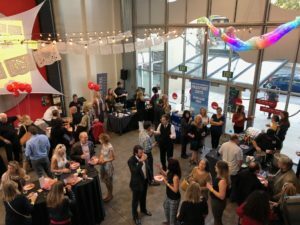 With over 300 guests in attendance, this year’s event, held on October 16th at the MAH, raised more funds than last year for the Santa Cruz County Realtors Housing Foundation closing cost assistance program. 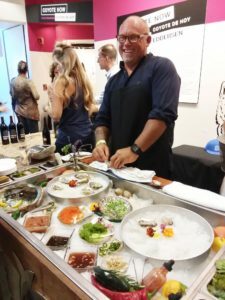 New restaurants came on board this year to support the annual event fundraiser, now in its 14th year and the raw oyster bar was a highlight of the event. 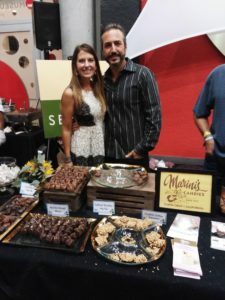 If you missed the Taste of Santa Cruz this year, mark your calendar for next October when we will be holding our 15th annual event. And HUGE KUDOS to our volunteers who donated their time to ensure not only that the event was a success, but that everyone had a really good time! BIG THANKS especially to the planning committee who work for five months to make A Taste of Santa Cruz come together each year. The Santa Cruz County Association of REALTORS® Housing Foundation was established in 2003, to bridge the gap to homeownership in Santa Cruz County. The mission of the Housing Foundation is to assist residents in our community realize the dream of homeownership by providing education, financial programs, and by supporting organizations who embrace our goals. Visit us at www.sccarhf.org or call for information (831) 464-2000. The wait for the tastiest ticket in Santa Cruz County is over! 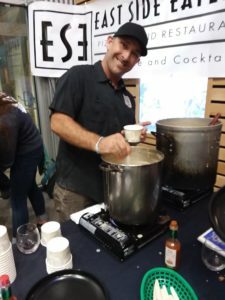 Get your tickets for this year’s A Taste of Santa Cruz being held on a new date this year, Thursday October 18th from 5-8 pm at the MAH. 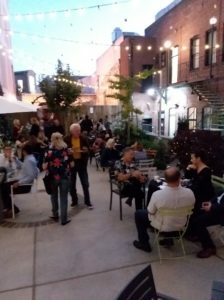 We moved the event up to October this year to take advantage of warmer and longer evenings so we can offer more outdoor event space for your dining and drinking enjoyment. Tickets are $50 in advance and $55 at the door. Purchase tickets HERE. If you remember last year, we sold out over a week prior to the event, so don’t delay and purchase your tickets asap! And invite your friends, too! 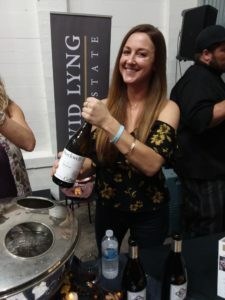 There will be a bevy of unique and valuable prizes to bid on for the silent and live auction and all proceeds assist the Santa Cruz County Association of REALTORS® Housing Foundation’s grant program to help first time home buyers in Santa Cruz County. The Taste of Santa Cruz has raised almost $400,000 since its inception in 2004! 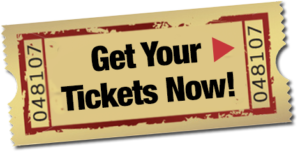 If you need assistance purchasing a ticket, please call the Santa Cruz County Association of Realtors directly at 831-464-2000.